V 7 N. 88 Have You Seen Jerry King? This story came to us rather indrectly this week. Bob Roncker in Cincinnati sent me the link. 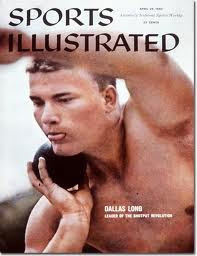 He had seen it on T&FN's website and thought I'd be interested since I had run track at Oklahoma University. 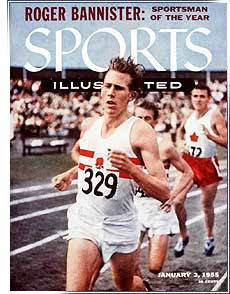 The author Rick Carpenter, was a 4:05 miler for the Sooners a few years after I was there. Rick is also the publisher and editor of the Altus Times in southwestern Oklahoma. We had a nice chat this morning, and he graciously allowed us to put this piece on the blog. There's another one to follow in the near future. Jerry King seems to be one of those stories that all college teams have of a guy with great promise who all of a sudden fell off the radar with his best performances yet to come. If you have any idea where Jerry is or what happened to him, I'm sure Rick would like to know. Was it love, the law, another calling? Someone out there knows. Rick's contact details are at the end of the story. Also if you have any stories of similar legends don't be shy to let us know. When my University of Oklahoma former track teammates gather, we often talk about everything from specific races to how one teammate, Randy Wilson, made the 1980 Olympic team but didn’t get to go because President Jimmy Carter ordered a boycott of the Moscow Olympics. 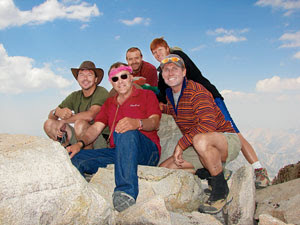 But eventually, we always get around to the legend of Jerry King or JK as we called him. 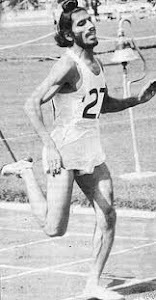 Jerry might not even know that the performance he had in the Big 8 Track Meet in Norman in 1975 vaulted him into legendary status among his former teammates. 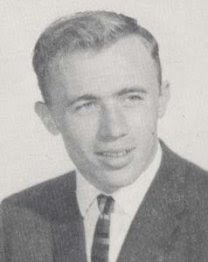 Jerry King holds the school record at Altus High School for the long jump at 25-feet, 2 inches, set in 1974. As a freshman at OU, he wasn’t expected to contribute much but Head Coach J.D. Martin knew he was an investment in the future and obviously saw his potential. Four years of maturity and development within a strong program can substantially increase an athlete’s performance level. 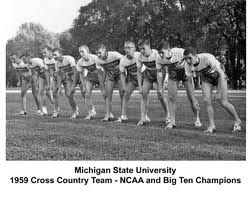 But Jerry King left school between fall and spring semesters of his sophomore year and his teammates have wondered for more than 40 years what happened to him — especially after a performance like he had in the Big 8 Track Meet. His potential seemed limitless. 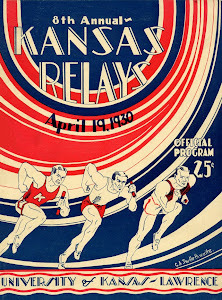 The Big 8 Track Meet was in Norman in May 1975. 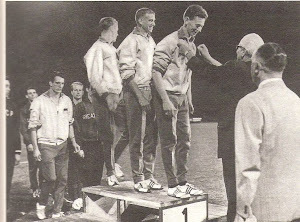 On JK’s last jump in the long jump, which included a very talented field, he soared 25-feet, 7.5 inches and either won the event or finished in the top three, none of us can remember. We just remember watching him explode on that jump and excite the home crowd with a phenomenal jump. To put that jump in perspective, his jump would have finished in the top 10 at the 1976 Olympics, a little more than a year later. But what made him legendary wasn’t the long jump. 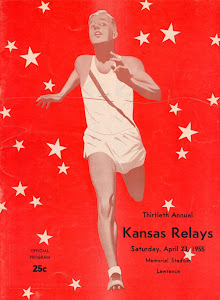 It was the mile relay, what has now been converted to metrics and called the 4 X 400 meters. When one of our quarter-milers pulled up lame, coach Martin started looking down his list of possible replacements and how many races they had run, etc. Somehow, he landed on Jerry King’s name. Since the meet was at OU and our athletic dorm was just a few hundred yards from the track facility, JK had gone to relax in his dorm room, thinking his day was over. After all, he’d already launched a season-best long jump that put OU in contention to win the meet. 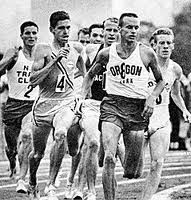 As the story goes, JK’s roommate, Larry Butler, had the grim task of finding and informing JK that he was needed for the mile relay. 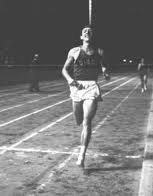 JK looked up at Butler and said, “I can’t run no quarter-mile,” which is regarded as one of the most difficult distances in track and field. But Butler convinced him he needed to get back to the track and get ready to run the relay. Without even warming up again — I’m sure he was still loose from his previous events that included the long jump and triple jump — JK was still standing in the infield with Butler during the early legs of the relay. 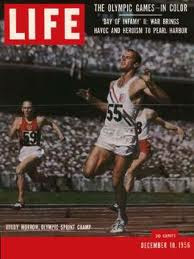 JK looked at him and kept repeating, “I can’t run no quarter-mile.” But he got on the track in time and took the baton. Did I mention that JK was a real competitor? 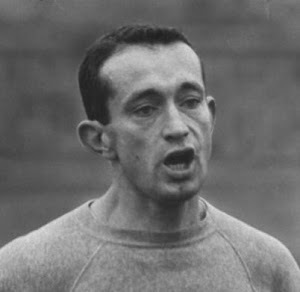 Turns out, he could run a quarter-mile — in 46 seconds, no less — a time some of our best quarter-milers couldn’t run. This freshman long-jump sensation took the baton and moved us from a tight race for second or third into a virtual tie for first with our best runner, Randy Wilson, the Olympian who I mentioned earlier, taking the baton and moving us into the lead. 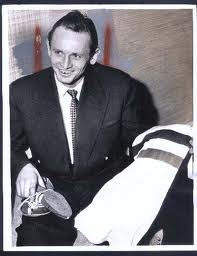 JK became a legend in his teammates’ minds but that was about the last time we saw him perform. After the fall semester of his sophomore year, he left school and we’ve never heard from him again. Coach Martin, who I contacted to verify some of the times and distances for this column, said that JK holds the record at the University of Central Oklahoma where Martin now coaches women’s cross country. He said he thinks he transferred there after leaving OU. Ever since I took over editor and publisher of the Altus Times in October, I’ve been asking people in the community if they know what happened to Jerry King. I’ve heard he lives in Denver and I’ve heard he comes back often to Altus where he was a star athlete in multiple sports in high school. But that’s all I’ve heard and I don’t know if any of it is correct. I’m trying to make contact with him because I doubt he even knows that he has become a legend to his former teammates. And since it’s Christmas on Monday, I’m hoping he might be stopping through here this week. If you see him, tell him to come see an old teammate. Rick Carpenter is the editor and publisher of The Altus Times and can be reached by email at rick@altustimes.com or by calling his direct line, (580) 379-0545. One (2005) story did pop up on a google search indicating that King had gone into the Army and returned and enrolled at the U. of Central Oklahoma, then worked at Altus AFB back in his hometown. 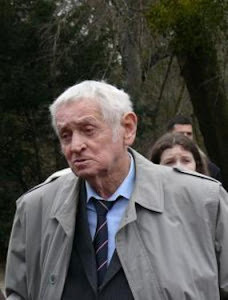 But his current whereabouts are still unknown. 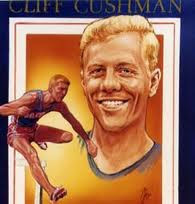 By the way he still holds the Oklahoma high school longjump record at 25' 1/2" set in 1974. V7 N. 87 Olympian Mal Spence Jamaica and Arizona State R.I.P. December 25, 2017 Staff Writer Boca Raton Sun Sentinel Dec. 26, 2017. 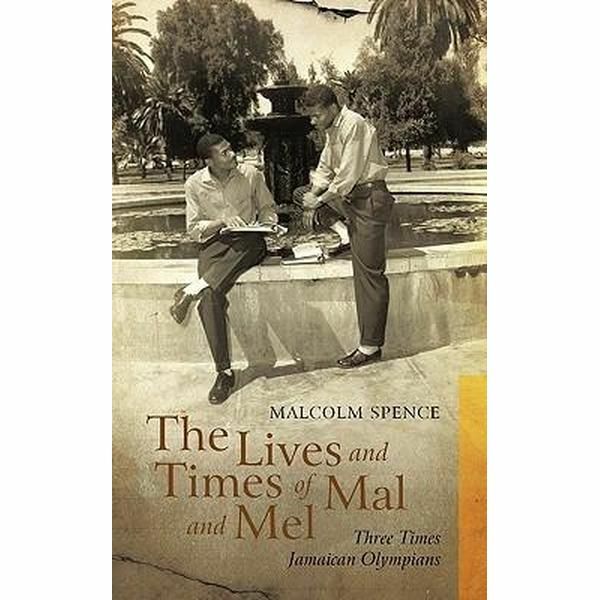 Long before he settled in or retired to , Jamaican-born Olympic sprinter Malcolm Spence II won a bronze medal competing for the Caribbean nation in the 1960 games in Rome. 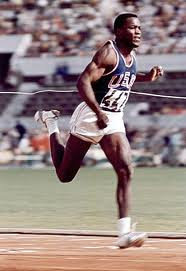 Spence, who competed in three Olympic Games, died Oct. 30. He was 81. 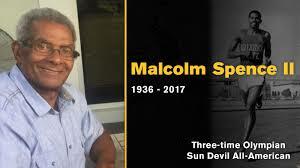 It was the 1950s and the American Civil Rights Movement was in its infancy when Spence and his twin brother, Melville, were recruited to attend Arizona State University to train and compete under legendary head coach Baldy Castillo. 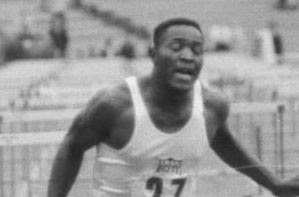 A speedy sprinter, Spence specialized in the 440-yard dash — once around a track — and won multiple titles and honors while attending the school. Spence shared stories, his son said, of going out to eat with his teammates and, because of segregation, he had to eat in a separate section of the restaurants they patronized. 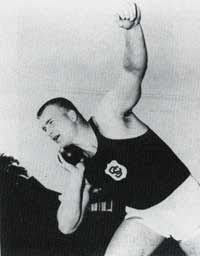 His first time as an Olympian, Spence, known as “Mal,” competed in the 1956 games in Melbourne, Australia. He won his bronze medal four years later running in the 4×400-meter relay in Rome. 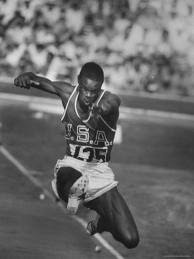 Spence also participated in the 1964 Olympics in Tokyo. 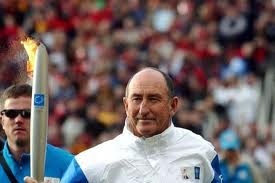 He attended the 1996 Olympic Games in Atlanta as a torchbearer. 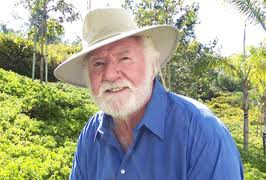 Born and raised in Kingston, Spence majored in botany at Arizona State and worked as a health inspector for the state of Florida until his retirement in 2002. 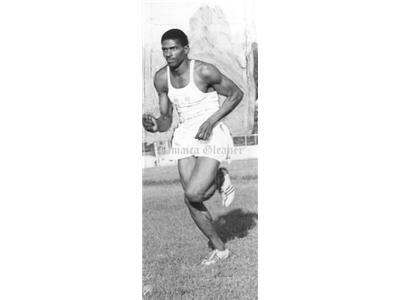 In 1982, he settled in Lauderdale Lakes, where he coached track and field for the city’s recreational league. In retirement, Spence indulged his green thumb, tending plants in a nursery on a daughter’s property in and working as a landscaper at Aztec RV Resort in . Is his twin brother Mel Still alive? 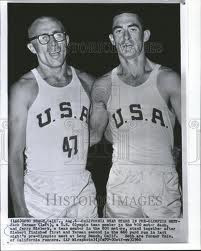 I had the honor of running against Mal in a Mile Relay qualifying heat at the Drake Relays in 1960. I apologized to Mal. He just said, "Don't worry it's just a qualifying heat!". Not unexpectedly, Arizona State cleaned up with us in the Final of the Mile Relay! 440 reasons to write back! Twin bro, Mel died in 2012. You probably ran against him too. Related Olympians: Twin brother of Mal Spence. 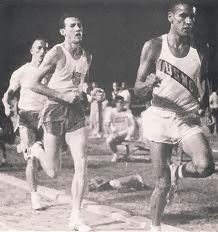 Now I am sure you are probably aware that in that same time period there was a second Mal Spence , quarter miler from South Africa who ran in the 45s. He finished 4th at Rome in the 400. (See results below). 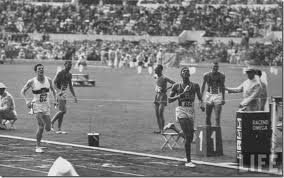 Mal Spence of Jamaica/Br.West Indies did not run in Rome. 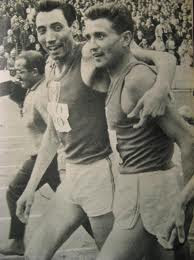 The British West Indies Federation which included Jamaica in the 1960 Olympics placed third in the 4x400 behind US and Germany. I think George Kerr U of Ill. and Keith Gardner Nebraska and Mel Spence were on that team. Their fourth runner was Jim Wedderman. Knew both Mal and Mel but always had a hard time identifying which was which. So I asked Mel one time at a meet how to tell them apart. He said I wear a ring and this is how you tell it is me, but sometimes Mal wears the ring. I left completely puzzled. 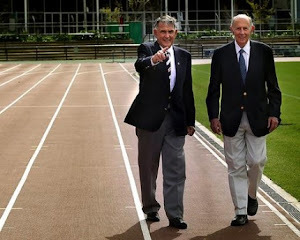 There is another legend which I don't know if it is true: on a dark evening meet the final 4 x 440 relay was set to go. Mal went into the anchor leg with a slight lead but coming out of the back stretch the lead was much bigger, almost unbelievable. 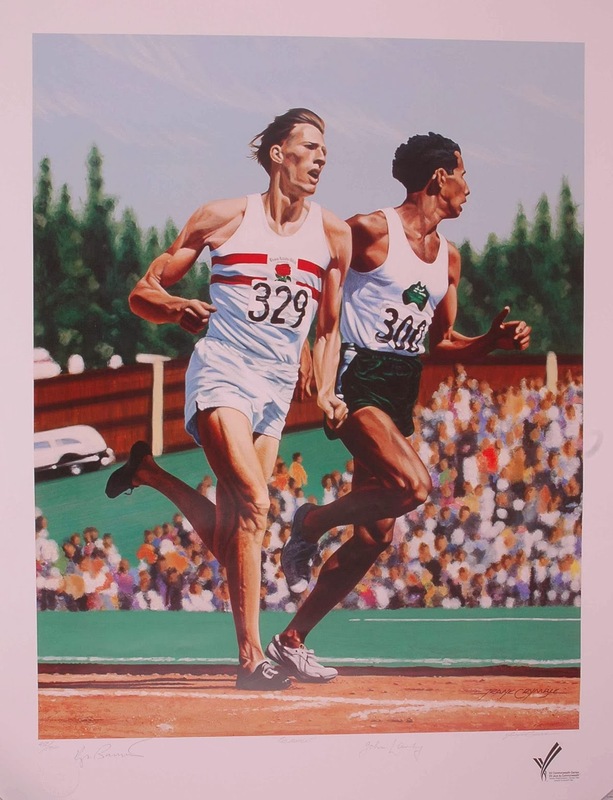 The story goes that with a 220 to go and hidden behind the stands, Mal handed the baton off to Mel who blazed ahead and "won" by a huge margin. Probably a world record time but someone tipped the officials off and the team was DQed. True? I have no idea but it makes a great story. Wonderful men from my era. 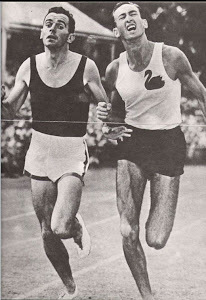 Didn't Bowerman do something like that on a two mile relay with a couple of brothers? I think they switched off behind the stands that were inside the first turn on the track. Never heard that one but knowing Bill who was a real prankster it certainly sounds like it could be true. Yes, I doubt it was with criminal intent. Mal and I had some great races over the years. 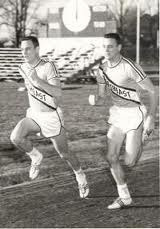 Many times in the States and in Rome and the Pan Am in 1963. Sorry to hear he has passed. 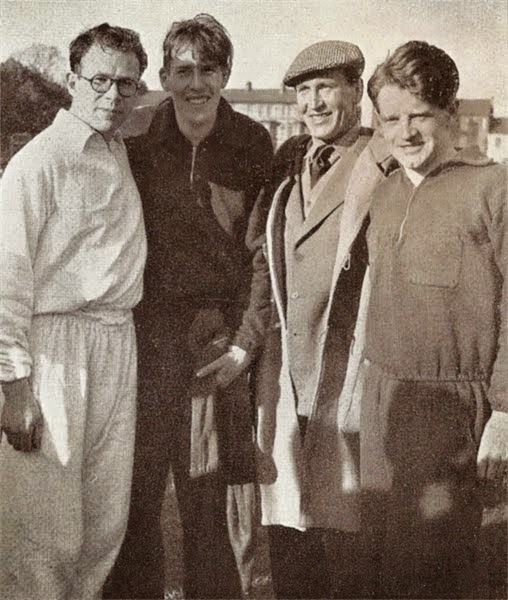 I was recently working on gathering some documents on Harold Abrahams and Eric Liddell the folk heroes of the film Chariots of Fire when I was contacted by Mike Tymn author of Running on Third Wind. Mike had heard about this blog through a friend of his Mike Waters who has become one of our regular readers. Mr. Tymn has generously lent us several chapters of his book for publication here on Once Upon a Time in the Vest. Running on Third Wind is available on Amazon for $14.95. There are about 12 shopping hours before Christmas, so you can probably still get it home by New Years. Other chapters will be seen in the near future. Mr. Tymn's chapter is about the man who came second to Eric Liddell in Paris almost 100 years ago, one Horatio Fitch of the University of Illinois. 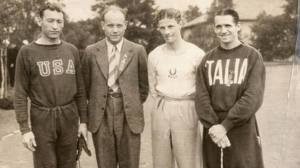 It took nearly 60 years for Horatio "Ray" Fitch to receive any real recognition for the silver medal he won at the 1924 Olympic Games in Paris. The irony is if he had won the gold medal he probably would not be getting the current acclaim. 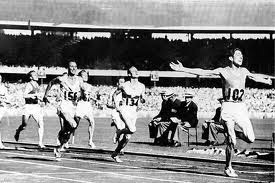 Fitch was defeated in the 400-meter run by Eric Liddell of Scotland. Liddell, in case you don't know, is one of the two main characters portrayed in the 1982 Academy Award winning movie, Chariots of Fire. 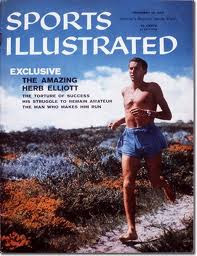 The story centers on Liddell's rivalry with Harold Abrahams, another British runner. 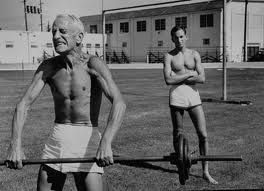 The two are scheduled to battle it out in the Olympic 100-meter dash when Liddell discovers that the race is on a Sunday. Being a divinity student and holding Sunday as sacred, Liddell withdraws from the 100 and is given the opportunity to compete in the 400 instead. The movie is doubly climactic. First, Abrahams gloriously wins the 100 over two favored Americans, Charlie Paddock and Jackson Scholz. Then it is time for the 400. Liddell in the outside sixth lane, digs his starting holes with a trowel, and walks over to wish good luck to number 216, Fitch, in the fifth lane. At the gun, Liddell jumps into the lead with Fitch in close pursuit. Liddell leads all the way and breaks the tape a couple of strides in front of Fitch. “I had no idea he would win it,” Fitch, 83, told me by phone recently from his mountain cabin, about 75 miles northwest of Denver. "I knew he was a good sprinter, but I didn't know until afterward that he was a quartermiler also. 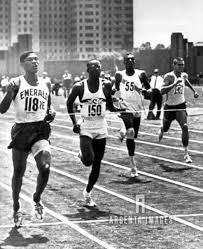 Coard Taylor (the other American in the race) had been the favorite until the semifinal when I ran 47.8 and broke the world record. That surprised me as much as anyone, especially since I eased up the last 30 yards to save myself for the finals. People began to look at me as the favorite and I thought I had a pretty good chance to win it. 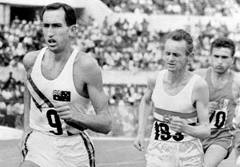 Our coach told us not to worry about Liddell because he was a sprinter and he'd pass out 50 yards from the finish." 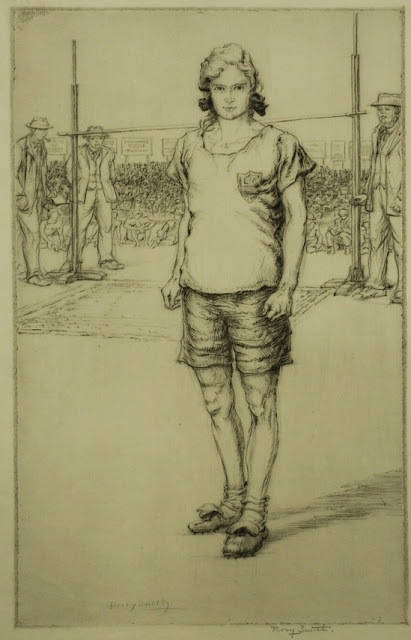 Fitch's 2 ½-hour old world record was erased as Liddell recorded 47.6. 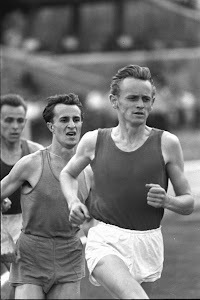 Fitch followed in 48.4, while Guy Butler, another British runner, captured the bronze in 48.6. Taylor fell a few yards from the finish, but crawled over the line for fifth place before collapsing. 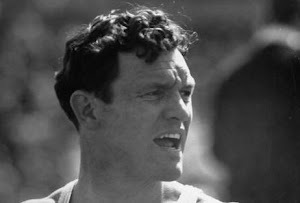 Between 1924 and 1982, Fitch was asked to speak about his Olympic experience on only two occasions, once in 1928 and again sometime in the mid-30s. While he secretly cherished his silver medal and had fond memories of his Olympic participation, he got on with life and seldom mentioned what he had done that July afternoon in Paris. "It wasn't that big of a thing until after the movie," he said, laughing. Since the movie was released, Fitch has been asked to speak at a number of community and church functions and has been interviewed by several reporters. "I enjoy talking about it. Heck, I don't have that much else to do these days," he said, again with a laugh. 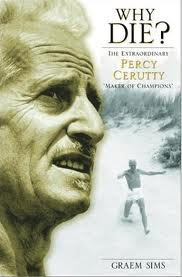 But Fitch wonders if the movie would have been made had he defeated Liddell and taken away the happy ending. Fitch was born and raised in Chicago. 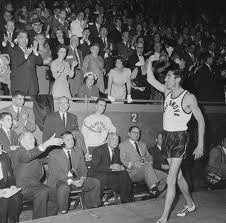 He attended the University of Illinois and was cut from the track team his freshman year. "I had to work and didn't have time to train," he explained. "I did make the team the next year, though. I'm probably the only athlete you've ever heard of named Horatio." After graduating with a degree in engineering, Fitch went to work for a firm building Chicago’s new Union Station. He found time, however, to continue to compete for the Chicago Athletic Association. As a result of winning the AAU Championship in the 440, he was invited to participate in the Olympic Tryouts at Harvard the month before the Paris Games. 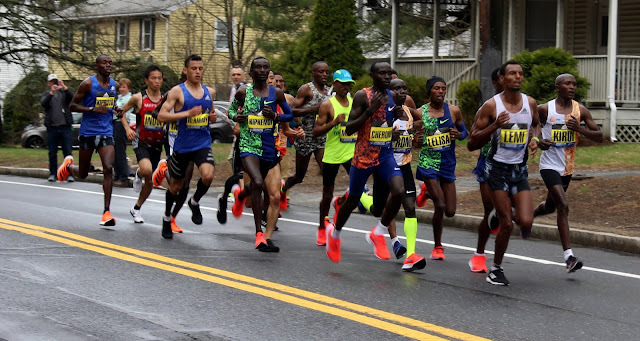 He finished behind Taylor, a Princeton graduate who set a new world record of 48.1 in the semifinals and was one of nine quartermilers the U.S. took to Paris. Fitch recalled that it took eight days to make the trip to Paris. On the ship, the Amerika, the team trained by running around on the deck. “We were jogging around all the time,” he said. 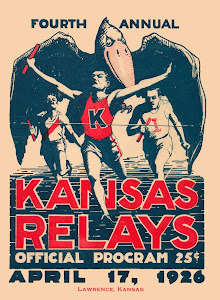 "The relay runners were running up and down passing the baton and yelling out that sprinters were coming. There was no swimming tank on the ship, so they made one about 15-foot square and maybe four of five feet, deep. 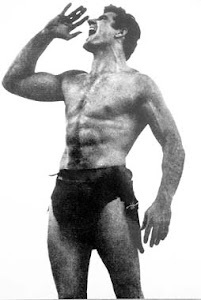 It was crazy to look at guys like Johnny Weissmuller and Duke Kahanamoku with this harness around them and guys outside the tank holding on to them with a rope while they swam in place. I guess it worked." Although the movie depicted the race scenes with reasonable accuracy, even to the extent of having the runners in the proper lanes and, with the right numbers, Fitch said that the arrival scene in Paris was nothing like that shown in the movie. There were no photographers, reporters, or large crowds as shown in the movie, just the people of France going about their everyday business. It was in this scene, however, that Fitch's name was mentioned the only time. Someone on the dock yelled, "There's Fitch." 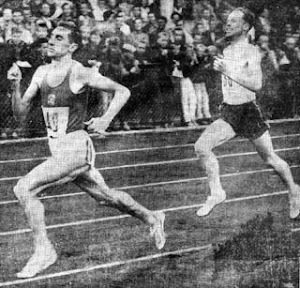 Fitch had to run in two heats the day before the finals and then in his world record breaking semifinal the morning of the big race. "I was a little lucky, though," he said. "I was assigned to the 13th and final heat in the first round and there were only two of us, so all we had to do was jog around the track to qualify for the next heat." Looking back on the race against Liddell, Fitch thinks he may have been psyched out by the stakes and tapes dividing the lanes. "I had never seen those things before and I was worried about running into one of them," he remarked. "I think I was more concerned about those than I was about Liddell and I may have run a bit too cautiously. When we came to the stretch, I expected to see Liddell slowing down as it didn't seem possible for him to hold that pace. He ran with his head back and his nose pointing to the sky just like they had it in the movie. 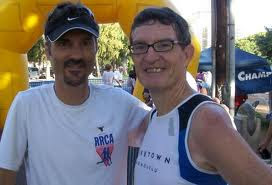 I gained a few yards on him near the finish, but it wasn't enough." Following the race, Fitch congratulated Liddell, but Liddell seemed very reserved and replied with nothing more than a simple "thank you." The awards ceremony did not resemble that of current Olympics. Although the national flags of the first three finishers were raised following the race, the medals were not handed out until the closing ceremony. Then the captain of the team collected the medals and distributed them outside the stadium. 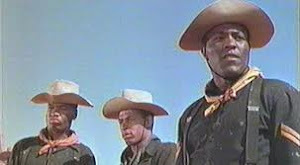 "There was no engraving on the medals, so we just grabbed whatever color we had coming to us," Fitch recalled. 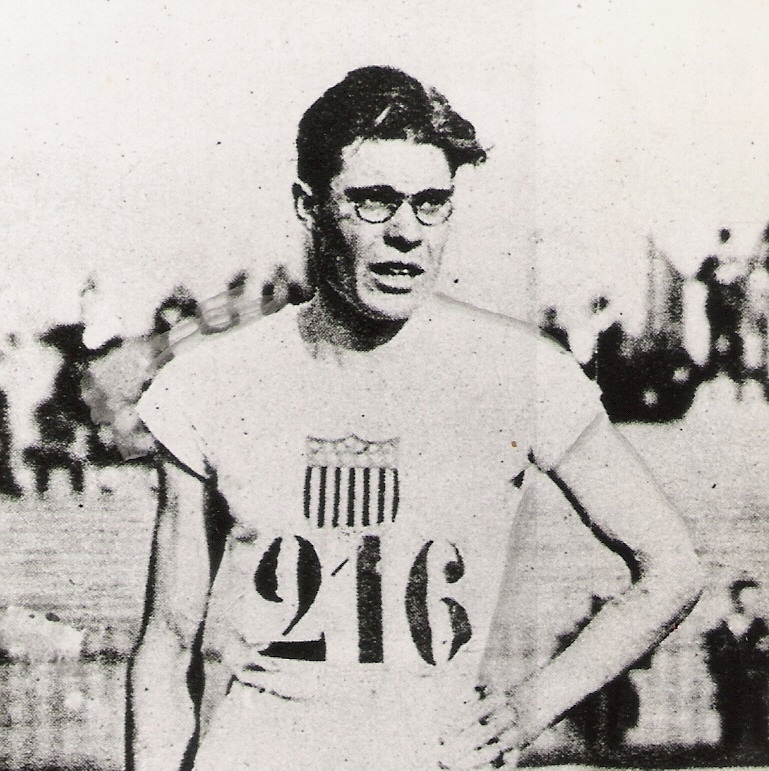 Fitch continued to compete over the next four years as he had hoped to make the team for the '28 Olympics. "But it wasn't like it is now. You didn't go to Colorado Springs and spend all your time training. You had to work back then. I had a job that kept me on the road quite a bit and I didn't have much time to train. After I failed to make the team for the '28 Olympics, I said this is it. I'm too old for this, and I haven't run since." 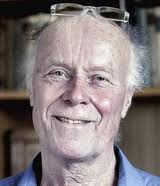 Fitch later joined the staff of the University of Illinois as an engineering professor and retired from that job in 1969. What took him to the mountains in Colorado? "Well, my wife was from Colorado and she said I could retire anywhere I wanted as long as it's in Colorado," he replied. His wife died in 1972 and Fitch now lives alone in his somewhat isolated cabin. When the snow clears, he likes to take short hikes, but finds that he no longer has the strength to climb some of the bigger peaks near his home. Until recently he did a lot of reading, but because of failing eye-sight, he now finds that difficult, so he spends much of his time listening to classical music. .
Fitch said he would like to take in the Olympics in Los Angeles this year. Trouble is, he can't get a ticket. Update: Fitch died the year after the interview. Everything that Fitch describes about the race can be seen in this video. 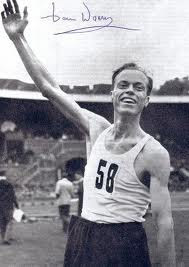 Eric Liddell brief bio 1min. 39 sec. Although I was a distance runner I'm one of your viewers (probably a declining number) who remembers when a trowel was an indispensable tool in a sprinter's kit. I can remember vividly watching the guys digging their starting holes in the cinder tracks at Rockne Stadium in Chicago and Waldo Stadium in Kalamazoo. They ought to make that film of Abrahams winning the 100 meters required viewing for today's dashmen. 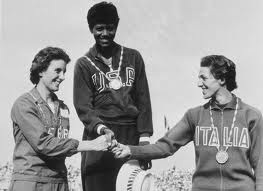 V 7 N. 85 When did the first woman high jump 5 feet? 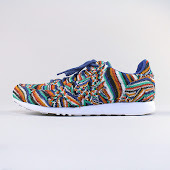 In a recent posting on the blog site Go Feet, the author discussed some of the earliest clubs in England that admitted women to their ranks, one notably the Peckham Harriers. Also mentioned was a member of that club Phyllis Green who was the first woman to clear the height of 5 feet (1.52 meters) in the high jump. Below the commentary of Go Feet. Also of note in this posting are several film clips of a series of Women's Olympics established in the 1920's held in Monaco for women when the International Olympic Committee wasn't quite ready to offer full opportunity to women to compete in their Olympic Games. 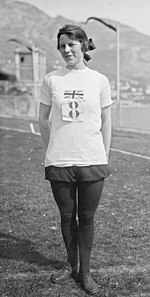 These were the early days of women’s athletics - the Women’s Amateur Athletics Association was only founded in 1922, and Phyllis Green belonged to the London Olympiades Athletics Club, the first women’s club, set up in 1921 in a period when many running clubs only admitted male members. The first women's Olympics and subsequently the Women's World Games below were organized independently from the IOC and IAAF operations. 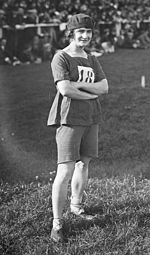 A French lady, Alice Milliat petitioned the IOC to include track and field in the 1924 Olympics but was refused. As a result she organized the Federation Sportive Feminine in 1921 as well as the first women's international sporting events in Monte Carlo in 1921. Wikipedia gives this summation of her career and of the the FSF. Alice Milliat (1884 in Nantes – 1957) was a pioneer of women's sport in France and around the world. Her lobbying on behalf of female athletes forced the inclusion of women's events in the Olympic Games. 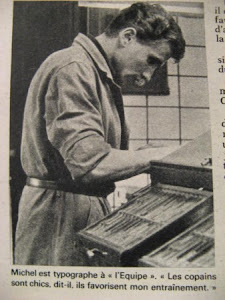 Milliat, a translator by profession participated in the sport of rowing. She was also an avid swimmer and hockey player. A member of Femina Sport, a club founded in 1911, she helped form the Federation Francaise Sportive Feminine in 1917, becoming treasurer and later president. In 1921 she organized the first international women's sporting event in Monte Carlo (follow-ups in 1922 and 1923). She is credited with igniting the pressure on the Olympic Games to allow more female representation in a broader range of sports, a process that is still ongoing today. Her name is engraved on the pediment of a gymnasium in the 14th arrondissement in Paris, thanks to her contributions to athletics. 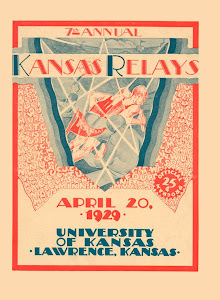 In 1919, Milliat asked the IAAF to include women's track and field athletics events in the 1924 Olympic Games. They refused. On 31 October 1921, Milliat formed La Fédération Sportive Féminine Internationale (FSFI) to oversee international women's sporting events. The FSFI decided to hold a Women's Olympic Games, which would include all sports, rather than the restricted number allowed to women in the official Olympics helmed by Pierre de Coubertin. In August 1922, the first Women's Olympics were conducted in Pershing Stadium in Paris and featured five teams including the United States, Great Britain, Switzerland, Czechoslovakia as well as the host country France. Eleven athletics events were conducted and the 20,000 strong crowd saw eighteen athletes break world records. Infuriated by the use of the term 'Olympic Games' the IOC convinced Milliat and the FSFI to change the name of their event in exchange for adding 10 women's events to the 1928 Olympics. De Coubertin, widely known as the man to reintroduce the Olympic Games to the modern world, was among one of the most vocal opponents to women's participation in the games. As such, the next edition of the event, held in Gothenburg, Sweden in 1926, was termed the Women's World Games. Ten teams took part in this edition of the Games. 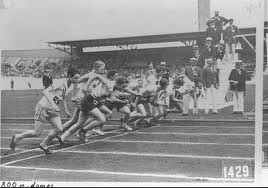 The Olympic Games and de Coubertin, due to pressure from the FSFI, eventually integrated five women's track and field events into the Olympics in 1928. 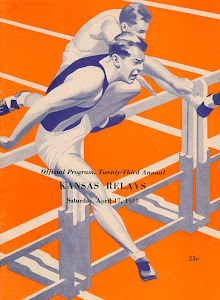 However, to Milliat, this was not enough, since men were allowed to compete in 22 events. The British women's team boycotted the Amsterdam games for the same reason. 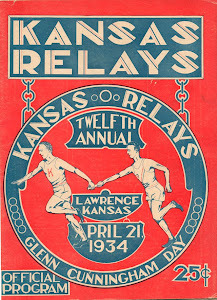 Two further Games were held in Prague in 1930 (featuring other sports in addition to athletics) and in London in 1934. After these games, Milliat issued an ultimatum: fully integrate the 1936 Olympics, or cede all women's participation to the FSFI. This led the IAAF to appoint a special commission to cooperate with the FSFI, which ceded control of international women's athletics to the IAAF in exchange for an expanded program and a recognition of records set in the Women's Games.